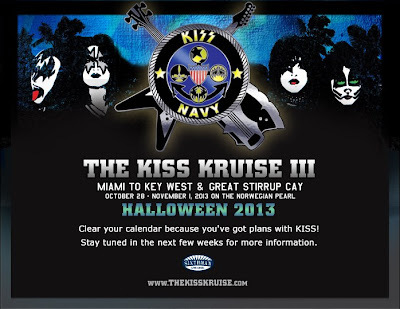 KISS have announced the third annual KISS Kruise. 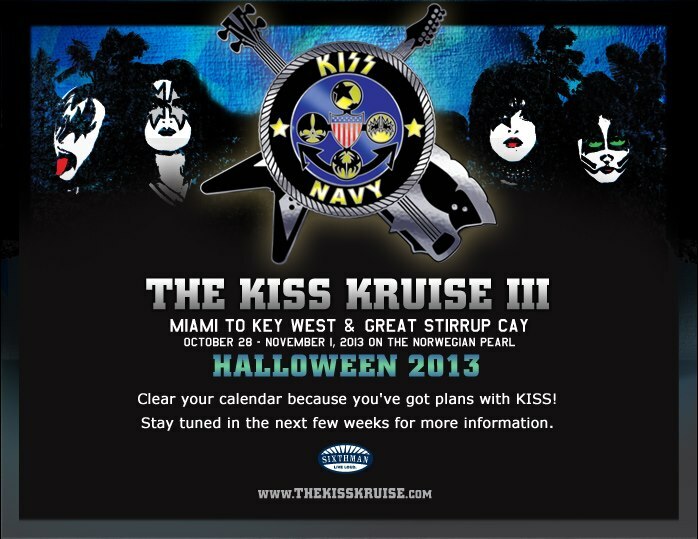 KISS Kruise 3 is confirmed for October 28 - November 1, 2013 on board The Norwegian Pearl sailing from Miami, Florida to Key West, Florida and Great Stirrup Cay, Bahamas. Fans can register online for the presale here. Last month, KISS completed its second annual cruise. As usual, KISS played a sailaway concert as the ship left the Port of Miami. In addition to KISS, the 2012 line-up also featured Skid Row, Adler, Yacht Rock Revue, Big Rock Show and many others.